This week's charts cover the period from March 18th to March 24th. Pick Me Up snagged No.1 this week on Google Play after its Android launch at the end of the month. iOS remained a little more static, with Draw It remaining top dog for another week. That iOS standstill carried over to the paid charts, where the top six entries remained unchanged. Pirates Outlaws managed to break in, however, bringing a new entry to the top ten at eighth. PUBG Mobile returned to the top grossing slot on Google Play this week, knocking King off the top spot on Android while the Tencent title couldn't quite break through the top three on iOS. Pick Me Up's Google Play popularity wasn't restricted to the US, as tastypill's title claimed top free game on Android, rising to second on iOS. 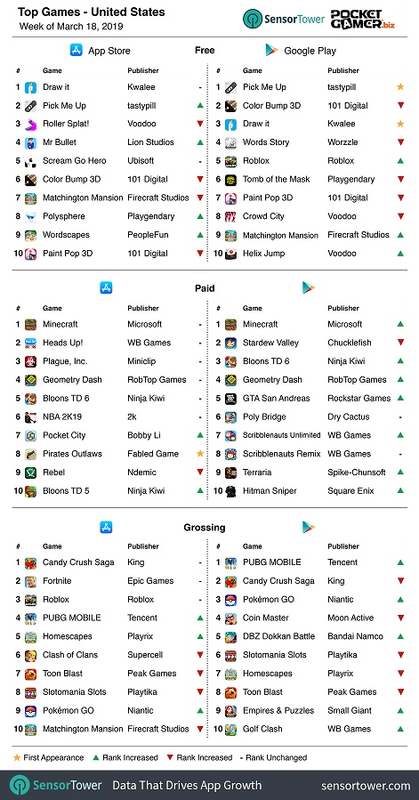 Minecraft returned to the top of both the App Store and Google Play's paid charts. Neither saw new entries break in this week. 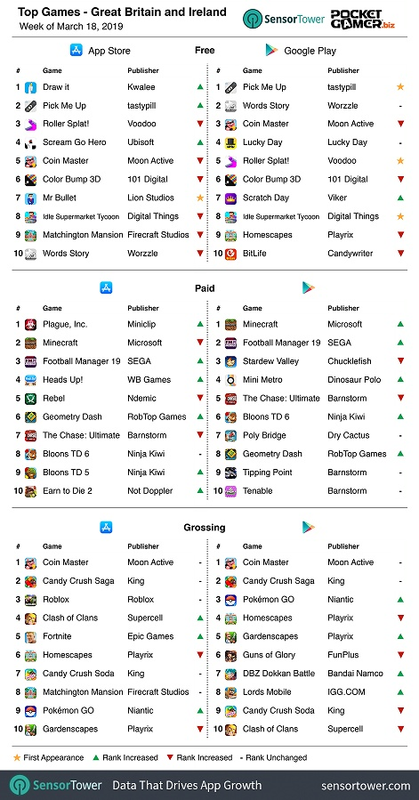 Top grossing charts remained further static still, as Coin Masher sits dominant across both platforms. On Android, Pokemon Go managed to squeeze back into the top three. Perfect World's dominance has taken a blow in China this week, at least in the free game charts. 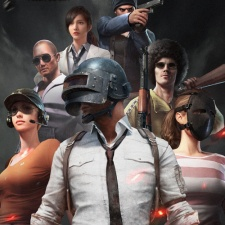 PUBG Mobile has taken the top spot once again, while Classic Chuanqi marks the sole new entry. 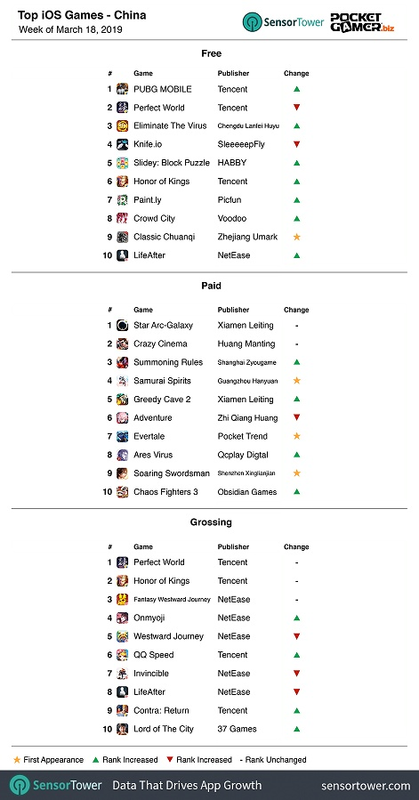 But Tencent's grossing dominance remains untouched, as Perfect World and Honor of Kings keep their respect number one and two positions this week. While the top two paid games remain untouched, we've got three new entries with Samurai Spirits, Evertale and Soaring Swordsman making a mark. Many of the companies featured here have been represented at Pocket Gamer Connects. The next conference will take place in Seattle on May 13th to 14th.